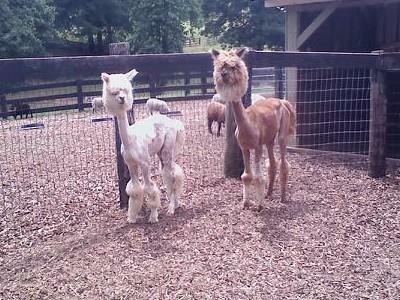 Alpacas are a domesticated species of South American camelids. They are similar in appearance to llamas, their cousins. Alpacas are descendants of the wild vicuna; llamas are descendants of the guanaco. Both the vicuna and guanaco still roam the Andes mountains of South America. The domestic Llama and the Alpaca were developed through thousands of years of controlled breeding by the Incas. They played an integral part in the Inca civilization which dwelled on the high Andean plateau and the mountains of South America. 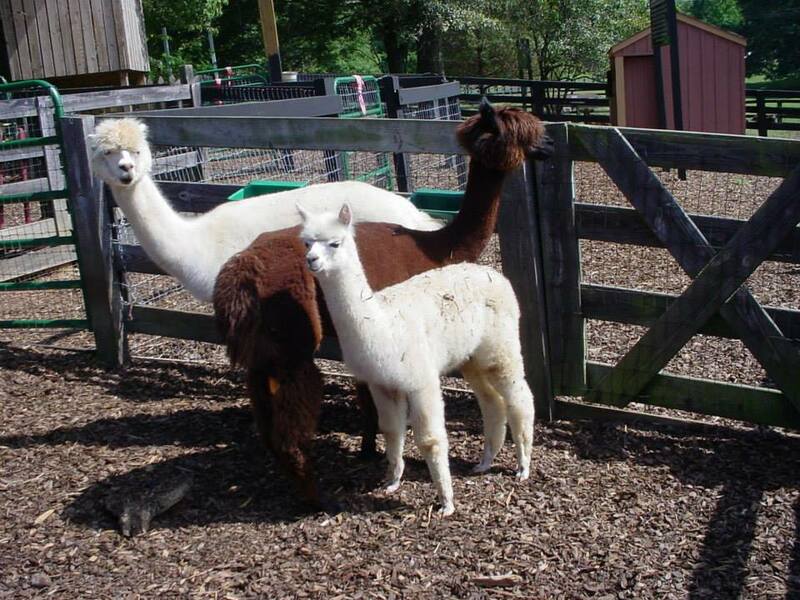 They used Llamas as pack animals as well as for their meat, hide and sinew; the Alpacas were bred for their fine fiber. The first Alpacas were imported into North America in 1984 from Bolivia and Chile. Peru considers Alpacas its national treasure, only allowing export of these animals into the United States since 1993. 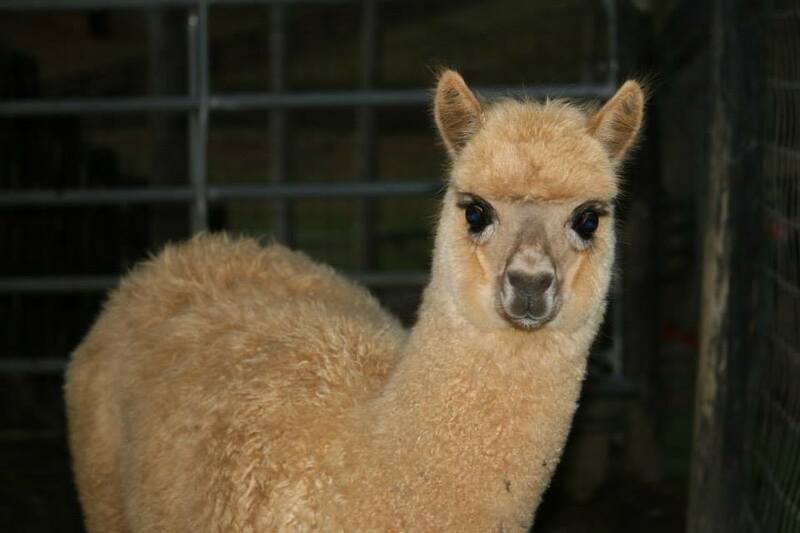 Alpaca fleece is still highly valued for its softness and lack of lanolin which makes it hypoallergenic. There are two types of Alpaca and each has its own unique fleece. 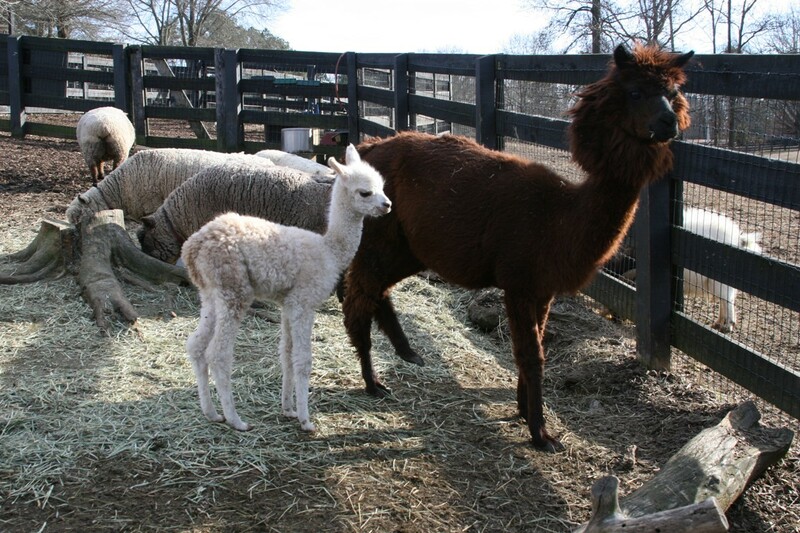 Huacaya Alpacas have soft, fluffy, crimped fleece that resembles a sheep making it easy to spin. 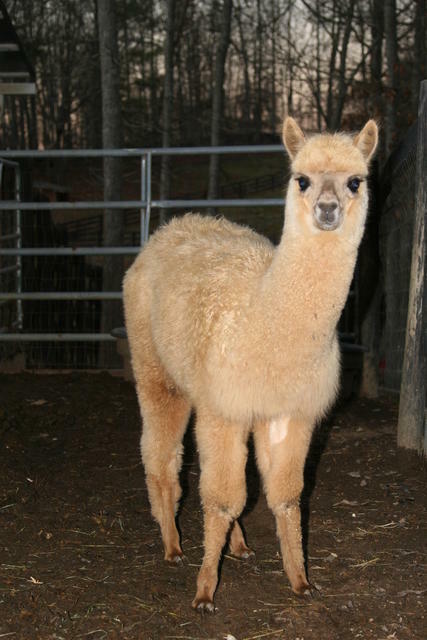 Suri Alpacas have small, pencil like ringlets that produce long, silky fibers. Both types of fiber can be processed much like sheep wool and made into knitted or woven fabrics. 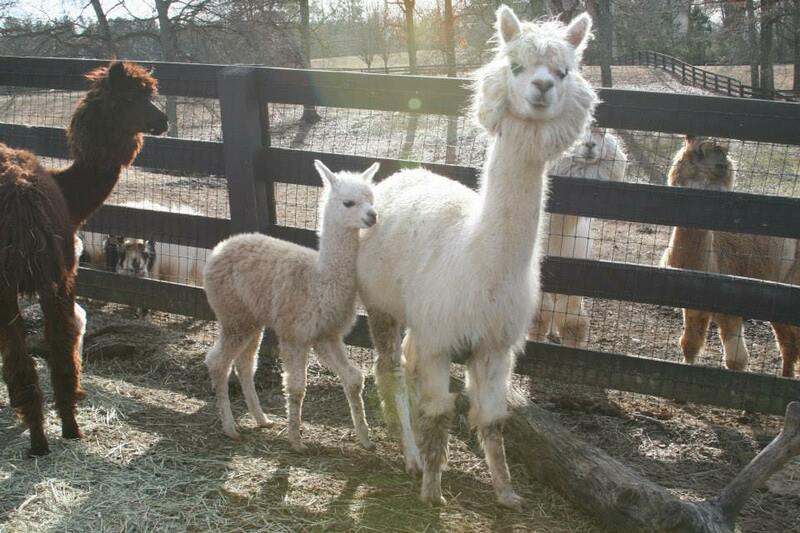 Alpaca fiber varies from 18 to 25 microns depending on the individual animal, its age and color. White is the most popular color due to its ability to be dyed into a range of colors, but alpacas come in 22 natural colors with more than 300 different shades. An annual yield of fiber is approximately six pounds from a female and more than ten pounds from a male. Alpacas can weigh over 150 pounds. Their height limit at maturity is 38 inches at the shoulder. 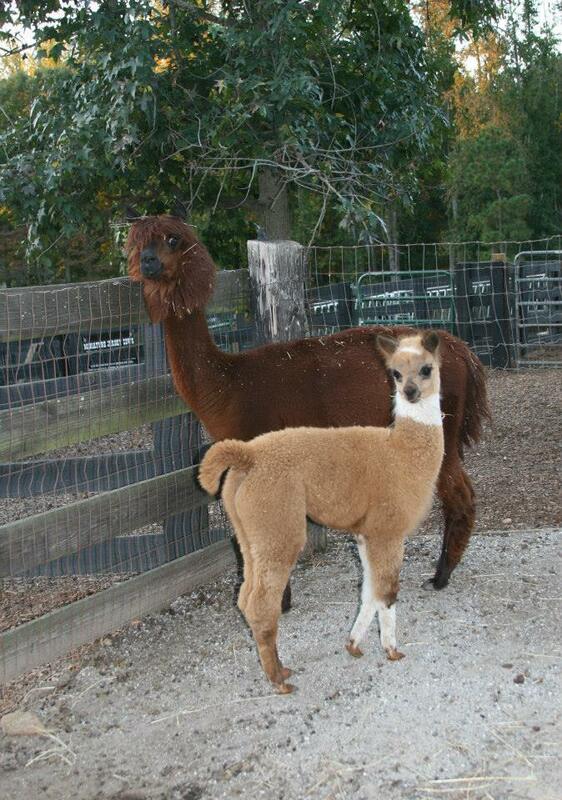 Miniature Alpacas weigh between 100 and 150 pounds. Miniature Alpacas stand less than 32 inches at the shoulder. 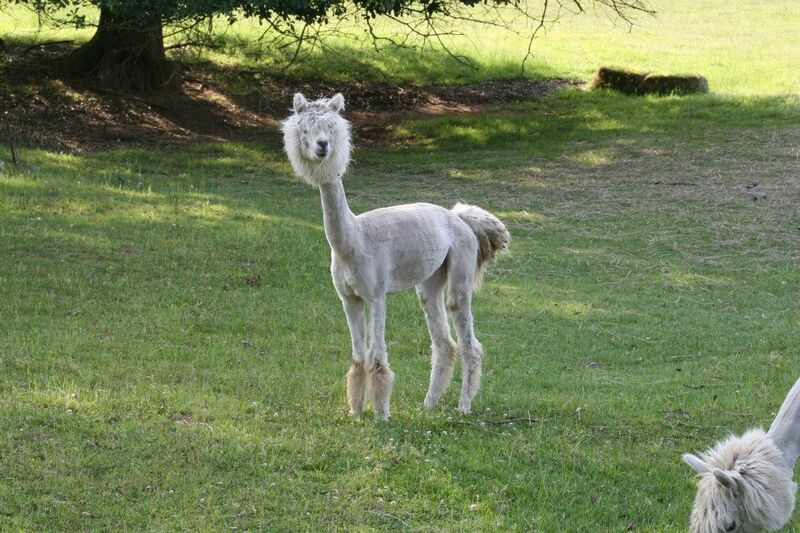 A male Alpaca is called a “macho”. A female Alpaca is called a “hembra”. 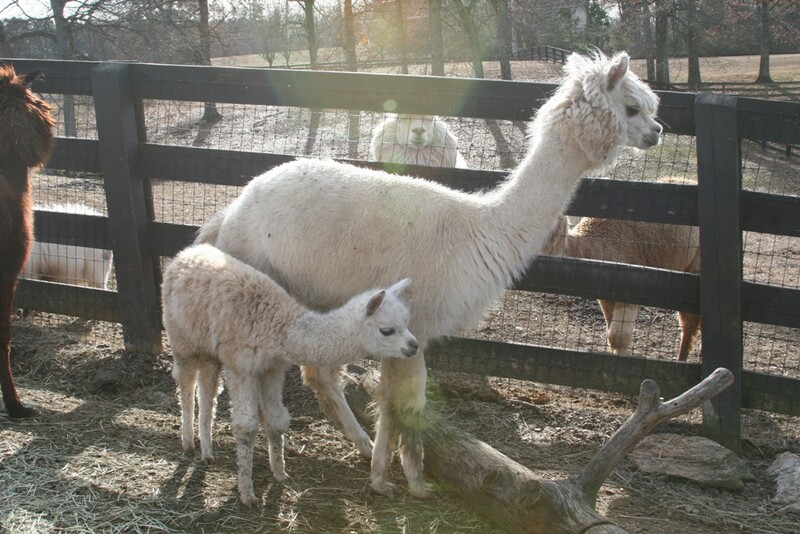 It takes a female Alpaca eleven months to have a baby “cria”. Crias are weaned at three to four months. Alpacas live up to 25 years. Alpacas are still fairly new and uncommon in North America. They are in increasing demand for their luxurious fiber. They are very friendly and gentle enough to be handled by children. Brulee Latte is perfection. DOB 1/12/11. With her excellent background, correct conformation and beautiful fleece, she is sure to add quality to any breeding program. Frappucino has tremendous presence, fantastic conformation and remarkable fiber. He is sweet and lovable and is sure to add quality to any breeding program. Macchiato is a beautiful tiny 27″ tall white male. DOB 12/5/10. His fleece is soft with a long staple length. The fleece has a consistent gorgeous crimp. He has a wonderful attitude and will make a great herdsire.